The following is written by an actual astral traveler. One night, a few days ago, I left my body three times. After the first OBE I woke up, I should have written a few notes to remind myself in the morning but I was too tired. I went back to sleep, a while later I woke up in my body, i.e. mind awake/body asleep, I felt a light pleasurable wave of ‘pin pricks’, like a wave of electricity and I got up out of my body again. A lot happened, then I woke up, my laziness got the better of me once more and I went back to sleep. Later on, there I was, yet again, fizzing within my physical body and I got up in my astral body and flew out of the window. The following morning the memories were still there but fragmented. I had a brief overview of each out-of-body experience but some of the details were lost or confused. Laziness is not conducive to successful astral projection. A few words written on a pad will often bring back the memories of a dream or an OBE. I wonder how many night time astral adventures don’t come directly to our knowledge simply because we don’t remember. Of course, those out-of-body experiences are never truly lost as such; it’s just that our human brains don’t remember. 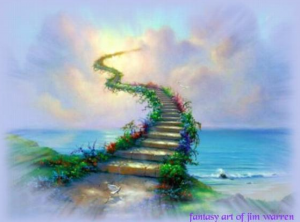 Want to learn more about Astral Projection and Astral Travel? Click here. When you leave your body your consciousness expands, sometimes I find myself astral projecting in places I have been before, this memory is only present in my OBE expanded consciousness; when I wake up I have no memory whatsoever of having previously been to these places. This has happened to me many times. So we DO astral travel, though we may not remember everything, our astral antics are all present in our expanded consciousness. We have to train ourselves to remember and part of that training involves writing down or recording what memories we do bring back. We should start with dreams, feelings and sensations, however small, however ‘insignificant’ they may seem. Keeping pen and paper by the bed is a must, sometimes just one word can stimulate the whole astral event. Training the mind to remember is an important part of astral projection. Once the sun rises in the morning and we are brought back to our physical reality, stimulants start to bombard us from all directions. The morning following these three out-of-body experiences, I woke up to rain and fog, this means an earlier start for the ‘school run’, there wasn’t time to spend ten minutes in light meditation in an attempt to get the memories back…… school bags to prepare and sandwiches to make…… Before I knew it, I was in the car with four teenagers, one exuberantly telling me about the soccer match the evening before, another two laughing away at the fate of some poor insect and another blasting music from his cellphone to drown out all the other noise. Oh well, who said becoming conscious was easy!